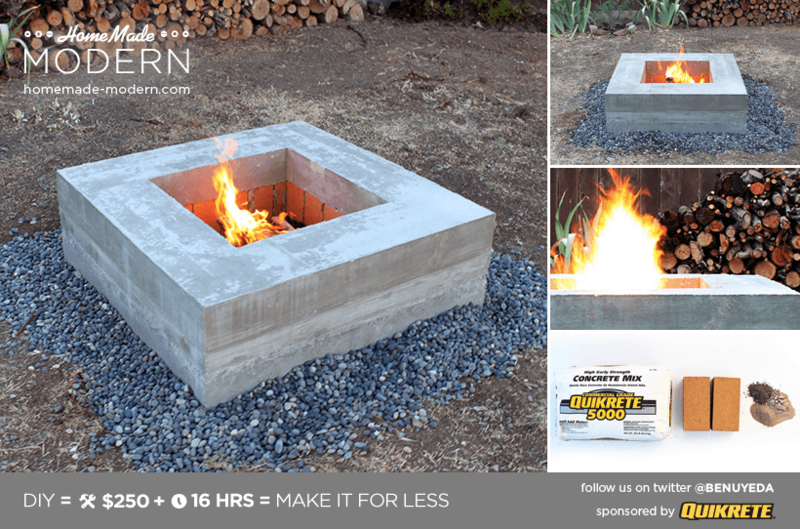 Here is a video that will show you how to Build A Modern Firepit. A cool idea for backyard functions that you will love. 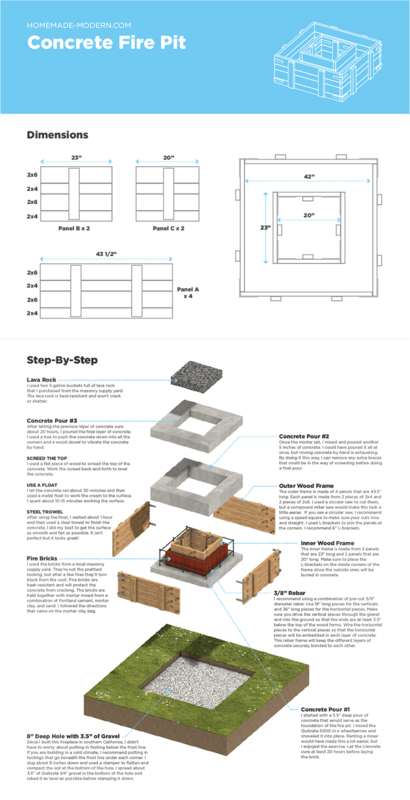 There is quite a bit of work involved to build it but the materials are inexpensive. 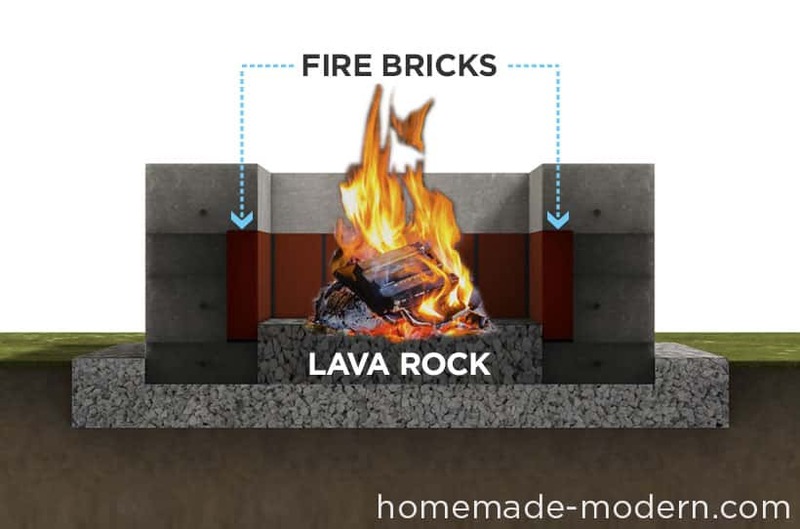 You can probably build it for around $150, less if you already have some of these materials at home. Even if you have never worked with concrete before you should be able to manage this project. The step by step instructions are concise and easy to follow. A great weekend project idea for a beginner who wishes to learn some basic concreting principles.